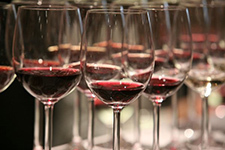 From oenophiles to beginners, people are always looking to improve their wine knowledge. That’s where Fava Beans & Chianti comes in. Listed below are some examples of services we offer and by no means are we limited to them. We are happy to hear about any of your wine related needs. Not only do we write about the wineries we have visited, the wine makers we have interviewed and the restaurants we have enjoyed, but we also provide detailed recommendations on wine selections (with food pairings) and, via our affiliation with Wine Access, an easy link to purchase some of our favorite wines that can sometimes be difficult to find from your local wine merchant. For your cellar, parties and gifts… Let’s say you have a decent cellar, but are wondering what wines to consume and when, or you seek wines to round off your collection. What if you are having a fabulous dinner party and want that sublime wine and food pairing? Or, what if you have special friends or colleagues who are having babies and you want to buy that momentous magnum for them to store, age and open when they ship their kid off to university? Or, what do you get for that impossible client? Feel free to contact us, go to the wine events page to learn more about our wine education services or go to the blog to read more on our wine suggestions, visits to various wine regions, interviews with wine makers or dining experiences while traveling.